In life, you can have two loves. One who changes the way you see yourself and the world. 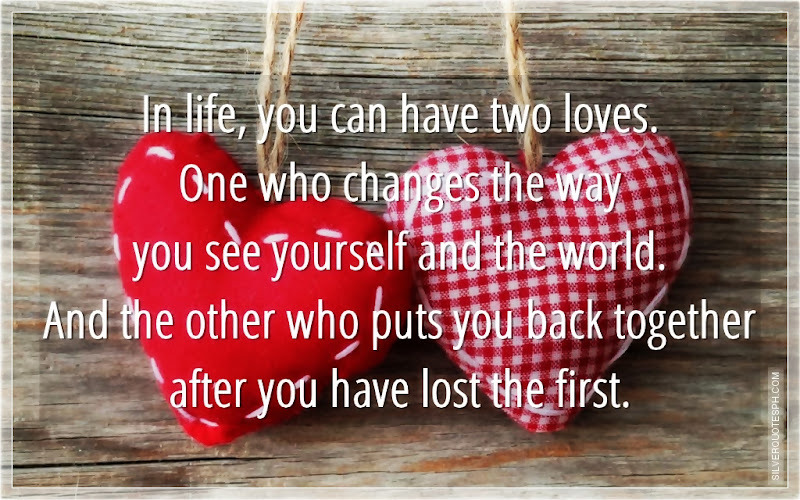 And the other who puts you back together after you have lost the first.